When you first open Console pay from the Transactions Menu you may be presented with a series of Notifications along the top menu bar. 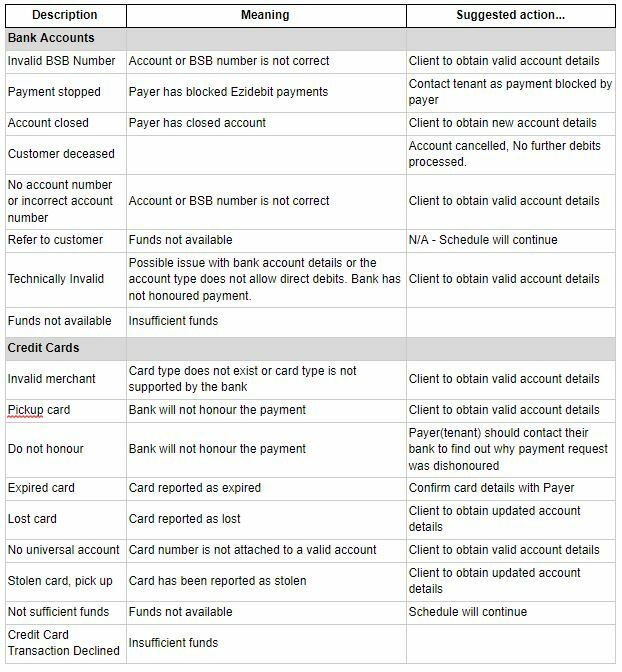 If the Dishonoured Payments tab has a number to the right of it there are payments which have been dishonoured and require your attention. To Export dishonoured payments to a .csv/.xlsx file for reference select the tick boxes and click Export X Dishonoured Payments. 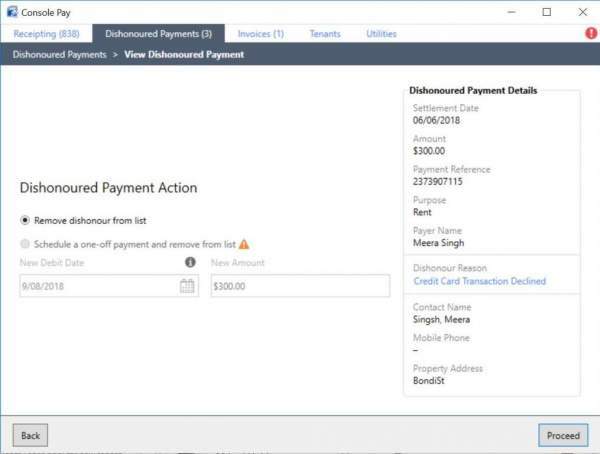 To create a one-off payment for any of these dishonours click View – a detail screen displays where a scheduled one-off payment can be made or remove the dishonour from the list. Note: Once actioned the dishonoured payment is removed from the list and a replacement one-off payment appears within the tenant’s payment schedule. Remove Dishonour From List. The orange warning icon will give you a message with the reason. A late return is when the tenant payment is dishonoured at the bank after the money has been cleared to your trust account. This means you may have already receipted this money into Gateway and it may be an active balance against an owner file. If the funds have been disbursed to the owner you need to obtain a refund from the owner in order for your bank to reconcile. If the funds have not been disbursed we recommend reversing the receipt in order to reconcile. Note: Late returns are presented on the Dishonour List and are highlighted for your attention.